SEATTLE – The Institute for Health Metrics and Evaluation (IHME) at the University of Washington is releasing new findings related to the Sustainable Development Goals in a scientific paper, a data visualization tool, and a report produced in collaboration with the Bill & Melinda Gates Foundation. The publishing of the scientific paper today in the international medical journal The Lancet coincides with the release of the report at the United Nations General Assembly by the Bill & Melinda Gates Foundation. Goalkeepers: The Stories Behind the Data is the foundation’s first annual progress report on the SDGs and was produced in partnership with IHME. In addition, IHME updated its Sustainable Development Goals visualization tool, which allows users to compare and contrast between countries and among indicators. It can be found at https://vizhub.healthdata.org/sdg/. “With these findings, health officials in countries can better distinguish longstanding challenges from emerging ones, as well as revise and reorient programs needed to meet their nations’ goals,” said Dr. Christopher Murray, an author on the study and Director of IHME. Many nations have already met some of the health-related SDG targets, including under-5 mortality, neonatal mortality, maternal mortality, and malaria. The majority of these countries attained these targets in 2016. Based on past trends, researchers found that less than 5% of the countries are expected to reach targets for many health-related SDG indicators, including road injury mortality, tuberculosis, childhood overweight, violence indicators such as intimate partner violence, and suicide mortality. Two of those indicators, road injury mortality and childhood overweight, continue to pose significant challenges in low- and high-income countries alike. Several middle-income countries, such as Brazil and China, have among the highest scores for vaccine coverage in 2016. Nine other countries attained top scores for vaccine coverage, including Antigua and Barbuda, Albania, Iran, Lebanon, Oman, Seychelles, Sri Lanka, Tonga, and Uzbekistan. Cambodia, Rwanda, Equatorial Guinea, Laos, Turkey, and China were notable high performers for the universal health coverage (UHC) index between 2000 and 2016. 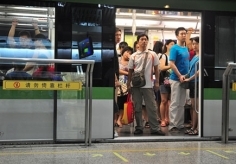 However, high-income countries including the United States saw minimal progress, alongside low-income countries such as the Central African Republic. The UHC index reflects coverage of essential health services. The SDG paper is part of the international Global Burden of Disease Study (GBD), a collaboration coordinated by IHME with 2,518 collaborators in 133 countries and 3 territories. It analyzes countries’ progress toward achieving each of 37 health-related SDG indicators. 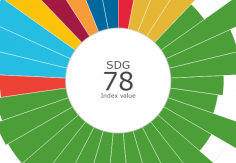 Researchers created an overall health-related SDG index score that takes into consideration the performance of a given country across all of the 37 health-related SDG indicators. Countries were ranked by their overall scores to show their relative performances, as well as allow for cross-country comparisons. A nation’s overall SDG index score is based on a scale of zero to 100. Singapore tops the list with a score of 87, followed closely by Iceland and Sweden (each at 86). The lowest-scoring nations were Afghanistan, Central African Republic, and Somalia, each with a score of 11. The United States scored 74, along with Austria, Spain, and Brunei. The Gates’ Goalkeepers report highlights past progress against some of the most difficult issues facing poor countries and uses IHME’s projections to show how the future might look under different scenarios. It is designed to highlight best practices and help hold the Gates Foundation, its partners, and leaders around the world accountable. It will document not just what’s working, but where the world is falling short. Established in 2007, the Institute for Health Metrics and Evaluation (IHME) is an independent global health research center at the University of Washington in Seattle that provides rigorous and comparable measurement of the world’s most important health problems and evaluates strategies to address them. IHME makes this information available so that policymakers, donors, practitioners, researchers, and local and global decision-makers have the evidence they need to make informed decisions about how to allocate resources to best improve population health. For more information, visit www.healthdata.org. 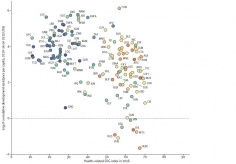 NOTE ON THE STUDY: IHME created the “health-related SDG index” by combining results for 37 health-related SDG indicators and giving a single value, on a scale of zero to 100, for each country. The index helps to provide a comparative understanding of how countries are doing on the health-related SDGs across a wide range of health challenges and priorities and over time. Each indicator is individually scored as well, and a composite (a geometric mean) of these 37 scores translates into the health-related SDG index score. The change in this score from year to year shows whether a country is progressing toward the target. Countries showing tremendous improvements should be looked to as examples of change and progress.